The Z5's display covers 95 percent of the body, with no selfie notch. Apple said its iPhone X is "entirely screen," but that's only if you ignore the omnipresent notch. 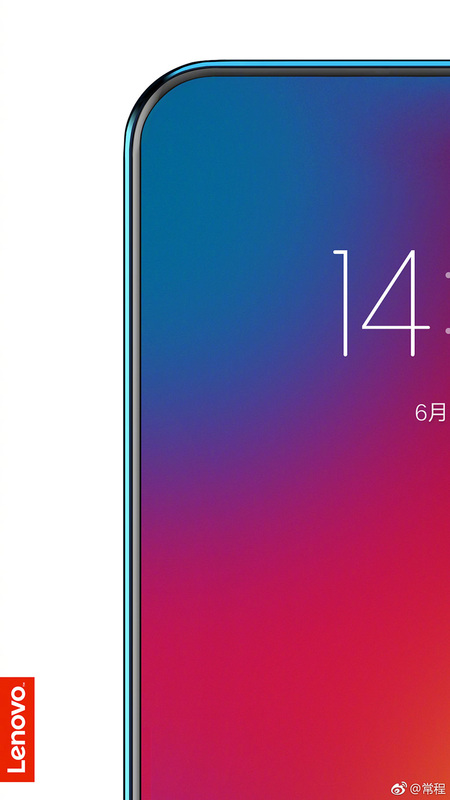 Teasing a sketch and part of a render, Lenovo Vice President Chang Cheng showed off a smartphone that's nearly all screen. The Lenovo Z5, he said, would have a screen ratio of 95 percent and packs "18 patented technologies." He didn't say, however, exactly if or how Lenovo would integrate a front-facing selfie camera on the device. There are a couple of challenges in creating an all-screen phone. The electronics to control the screen must go somewhere, and you need a place to put the selfie camera. Apple solved the first problem by folding the OLED screen around the back of the device, but the notch is a necessary evil for the front-facing camera. Other devices with high screen ratios include the Vivo Apex, which has a pop-up selfie camera but bottom bezel, and the Mi Mix 2s, which tucks the camera into a chin at the bottom. Lenovo is hinting that it has perhaps solved those issues with four tech breakthroughs and 18 patents, but didn't reveal and more details. It's also not clear if this is just a concept or a real product, though the render (below) suggests the latter. The design is certainly striking, but it remains to be seen if consumers are clamoring for a bezel-free device the way designers seem to think we are.